Tired of staring at the same four walls? Give your home a brand new look in no time with the Superfresco Easy Wallpaper range. 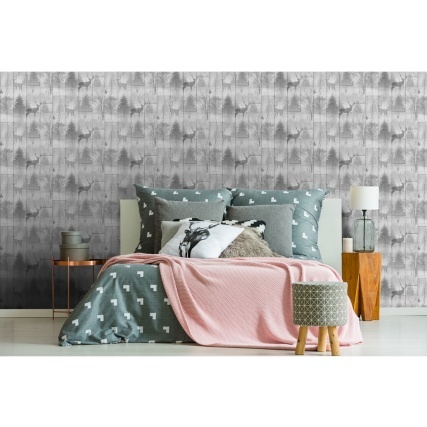 This unique wallpaper is designed to stick straight onto the wall – no pasting table required! Just pick your favourite wallpaper design, paste the desired wall and apply! It’s really that simple. Check out the best of our Superfresco Easy range and bring the latest interior design trends into your home. If you haven’t checked into your local, independent high street coffee shop in the last 5 years, then you might not have noticed the exposed brick vibe. Its number 1 in the Hipster Interior Design Handbook and it doesn’t look like going away anytime soon. Great for small kitchens that need light to help maximise space, Geo Brick’s subtle geometric pattern lends a trompe l'oeil effect that looks even cooler alongside well-groomed beards and deconstructed flat whites. Inspired by the Far-East, Radiance wallpaper is the epitome of subtlety and simplicity. Boasting grey and ochre colours, playful blossom trails add a level of intrigue that makes for a tranquil, Orient-inspired living room. B&M Top Tip: you’ve picked your wallpaper, but what about sticking it? 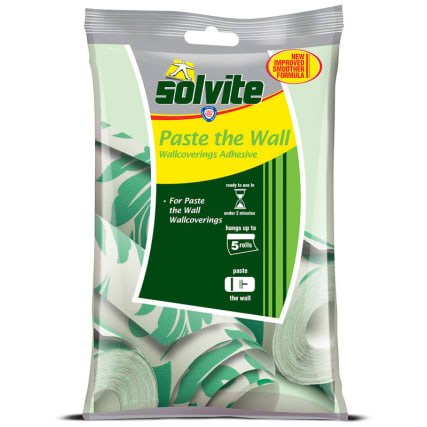 Solvite Paste the Wall Wallpaper Adhesive is specially formulated for the Superfresco Easy range! 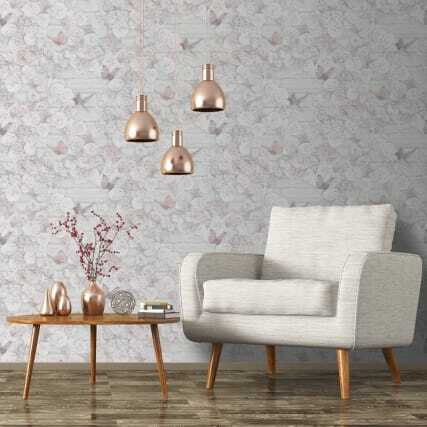 Brooklyn features a multi-functional wallpaper design that works just as well in bedrooms, living rooms or dining rooms. 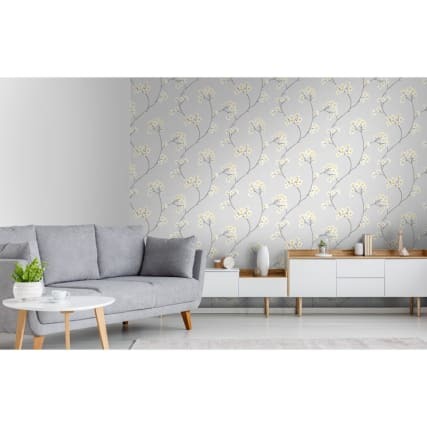 B&M Top Tip: as well as all your decorating essentials don’t forget you can complement your gorgeous new wallpaper with our extensive range of indoor furniture. Have you been busy stripping and pasting? We want to see your new wallpapered rooms! Share your photos with us on Facebook, Twitter & Instagram!